In a country powered by innovation and technology, why so many hardworking people are still living in the financial shadows? This fall, the Lending Circles Summit will bring together thinkers and do-ers like you to learn, collaborate, and design solutions that improve people’s financial lives. Join us to not only imagine a better way forward but to use the power of community to make it happen. As Treasurer for the City and County of San Francisco, Jose is the City's banker and chief investment officer. He led the creation of the City’s Office of Financial Empowerment. Since founding Tipping Point Community in 2005, he's led this poverty-fighting nonprofit to raise over $100M to educate, employ, house and support more than 600,000 people in need. Manages global philanthropy, corporate responsibility, and government relations in the Western United States. Served as Senior Advisor to California Governor Gray Davis & was Deputy Assistant Secretary for Policy and Planning under President Clinton. He’s studying how immigrant and minority households become more equitably integrated into the financial mainstream. Supports pioneering social change globally, with a focus on advancing the rights and well-being of apparel workers and helping low-income people save and invest in their future. Designer and educator who's worked on the advanced innovation teams at Nike and The North Face and taught Sustainable Design at Stanford University and Design Thinking in Johannesburg. As a design consultant, helps multinationals and start-ups get their ideas to market. Leads the Technology & Products group for the salesforce.org where she and her team are responsible for delivering scalable technology solutions that help nonprofits and higher education institutions achieve their missions. Currently serves on the Board for Credit Builders Alliance, Experian Consumer Advisory Council, and Capital One Consumer Advisory Council. Oversees a $22M annual grantmaking budget to 46 Bay Area nonprofits providing direct services in the areas of education, employment, housing and wellness. Works with larger U.S. lenders to help them understand, use, and evaluate our FICO® Score solutions. She also provides in-depth credit scoring training to regulators and lenders in the U.S. and across the world. Manages the Lending Circles program at The Resurrection Project in Chicago, and leads a team of financial coaches that provide one-on-one financial coaching services. Leads Experian’s national consumer education programs. As an expert spokesperson on credit reporting, he writes Ask Experian, the industry’s first credit advice column, and hosts a weekly live Credit Q&A on Periscope. To help do-gooders do better, she launched the LightBox Collaborative — a communications firm serving nonprofits, philanthropies and public agencies — to harness fresh talent operating in an increasingly networked world. Manages Bank of the West’s charitable contributions and community engagement in Northern California, Northern Nevada, Oregon, Washington and Idaho. Manages Fenton’s LA and SF offices and leads the agency’s corporate social responsibility, brand, and sustainability work. Focuses on savings and asset-building for low-income people, as well as HIV/AIDS stigma and discrimination. Helps Bay Area social justice orgs strengthen their work with social media and networked action. Served as Executive Director of the JCCSF, Director of Development at Stanford Law School, and Chief Operating Officer at the JCF of San Francisco. He has been responsible for the fundraising efforts for more than $1 billion in his career. Strengthens CBA's internal systems and identifies innovations in the field to support hundreds of clients in accessing responsible credit- and asset-building financial products and services. Leads the nation’s leading nonprofit microsavings provider. Gives families the tools to achieve life-changing goals and save for their dreams. Has spent over twenty years working in organizations focused on youth and economic security issues. Served as a Kiva Fellow in Mexico analyzing the impact of microfinance, and champions the need for more women in public office as an IGNITE board member. A lifelong advocate for social & environmental justice, she's passionate about using storytelling to inspire both local and systemic change. Leader in integrating personalized coaching with intelligent technology to increase the number of low-income students who graduate from college. An Ashoka Fellow and 2012 Jefferson Award for Public Service recipient, Alex's current organization was recently named one of the world's most innovative companies in education by Fast Company. Leads strategic partnerships for NerdWallet's anti-payday lending initiative. Building a national online platform of nonprofit small-dollar lenders and financial assistance-offering community organizations and working with advocacy and governmental groups to help inform NerdWallet's product offerings. Oversees how the Twilio communications platform can be used for social impact. A veteran in using technology to accelerate social change, Meghan was one of Change.org's first business development leaders, pioneered Salesforce.org's nonprofit program, and led business operations at KickStart International. In this action-packed, interactive training, you'll learn how Human Centered Design can help us all develop better products and programs. You’ll help design and prototype new features for the Lending Circles app. Program starts at 8 AM. Over breakfast, Dr. Fred Wherry will challenge us to imagine programs that recognize the complexity of our clients’ lives -- programs that truly honor their dignity and freedom of choice. You may not have the capacity to develop the next PokemonGo, but you can utilize technology more effectively to reach and engage the community you serve. This panel will give you a new way of thinking about outreach and engagement. You’ll learn how practical things you can do, be inspired to tell more stories, and get a framework for building your own GAME plans to meet your goals. Come yield Wonder Woman's Lasso of Truth at this special session. We've assembled a panel of experts on credit -- including representatives from Experian and FICO. You have the floor. Bring burning questions on credit scores, reports, tradelines, and disputes! Come behold the tech superpowers of organizations using tech for good! Watch a series of "lightning round" demos of best-in-class tech products and services that benefit low-income communities. You'll get inspired and come away with practical ideas for how to use technology for good. To inspire change, we need to tell stories that help make the connection between complex social problems and our own day-to-day lives. Fortunately, that’s The Story of Stuff's superpower. Join us to learn how your organization can use compelling stories to spark not just individual action, but system-wide, lasting change. Providing high-quality programs that change people’s lives is what you’re all about. But in order to keep doing it, you gotta raise enough money to pay for it all. That’s where storytelling comes in. You can have a great vision, the best laid plans, but if you can’t tell a compelling story or make a compelling pitch, you’ve got a problem. Come learn top tips and strategies from leading storytelling experts. Is your favorite Ninja Turtle Donatello? He lives in a sewer yet still learned advanced robotics (and is a badass ninja). Join MAF's tech team and help (re)design key parts of the Lending Circles portal in this hands-on, interactive design session. You’ll hear about the new product developments in our pipeline. Who knows, your best idea could just become our next badass feature. We've invited some truly inspiring Lending Circles heroes to share their wisdom with you. 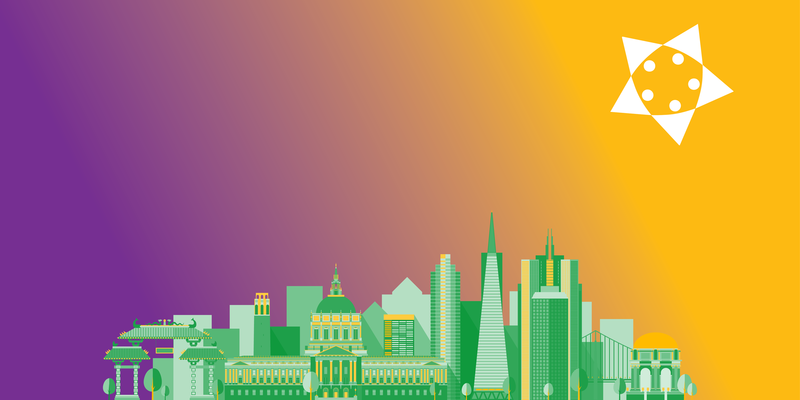 Trust us, you don't want to miss this panel of program participants from around the Bay Area. Holy smokes, Batman! These partners are on fire! It’s time to come learn from your peers. (Hint: they’re doing amazing things that you might want to replicate back at home). A night of delicious food from local entrepreneurs, drinks, music from DJ HeyLove, a raffle to benefit MAF, and a photobooth - superhero props included! Some of today’s most innovative social innovation programs use technology to be more available, accessible, and affordable than ever before. Yet they still are few and far between. Why is it so difficult to create tech-powered programs in the nonprofit sector? This dynamic panel will feature some of today's most forward-thinking programs using technology to create lasting impact for clients. In today's digital age, high-impact programs that change the lives of financially vulnerable communities cannot replicate or expand without technology. But so few funders provide support for technology in the nonprofit sector. This panel asks: What does the future of philanthropy in this digital age look like? An esteemed panel of out-of-the-box foundation leaders and corporate philanthropists will tackle this question head-on. The 2016 Lending Circles Summit will take place at The Hyatt Regency Hotel, which is conveniently located in the heart of San Francisco. We’ve negotiated a discounted rate for early registrants. Rooms are selling out quickly, so we encourage you to reserve as early as you can. *Stipends are available for Lending Circles partner providers. Contact us for next steps. Want to join the fun as a sponsor? Check out the Sponsorship Guide and/or contact us with any questions.